So I've been thinking about starting Must Have Monday for a couple of weeks now and here it is! Every Monday I'm going to pick three or four items that I consider "must have" items. Usually these items will be fitness related, but I might throw in a little variety of other things here and there too. :) Okay, so let's get started! I have four different styles of Five Finger shoes and as much as I love them all, these are at the top. I love these for doing cross training workouts. I've done P90X, Insanity, Les Mills Combat, and various other workout programs in these shoes. I've actually worn them so much, they're starting to rip in the toe! They've held up so well though. These shoes are incredibly lightweight and fit very snug; almost like a sock! Speaking of socks, you can wear socks with them but you don't necessarily have to. That's one of my favorite things because I am basically against wearing socks. If there was a barefoot club, I'd be the president. 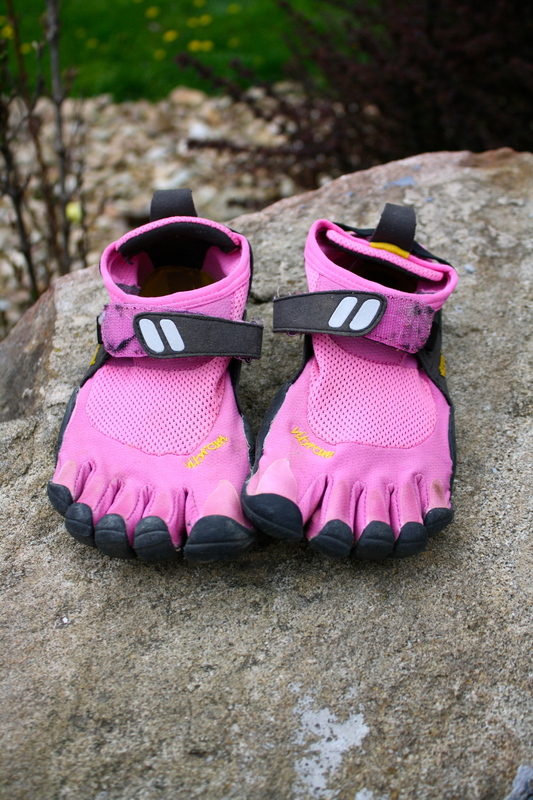 But since there isn't (that I'm aware of) wearing Vibram Five Finger's is the next best thing! Next up is this Fuel Belt for running. A lot of you may use these or know of them, but I really enjoy this so I had to share. I actually had this given to me at work a while back. I got it as a joke and was skeptical of using it at first. But once I strapped it on and hit the pavement, I don't know how I went without it. It comes with the two mini water bottles and a little pouch for whatever you want/need to carry. I have pepper spray in mine just because I never know where I'll end up on my runs and it makes me feel safer. Anyways, you just put this around your waist with the velcro strap and off you go! I. Am. Addicted. I have used this lipgloss since I was in high school. It's been my favorite for three years now! Bath & Body has all kinds of amazing lip gloss's. This one is an all time favorite though. It's Vanillamint, Mentha Lip Shine. This is a clear gloss, which is perfect for me because it goes with every outfit I wear. It stays on for a crazy amount of time and tastes great too. It's more of a vanilla flavor, but the hint of mint really makes it stand out to me. Really, what else can you ask for? Okay I've done enough talking for today and now I want to hear from you! Do you guys have any of this week's "must have" items? If so, which ones and what do you think of them?